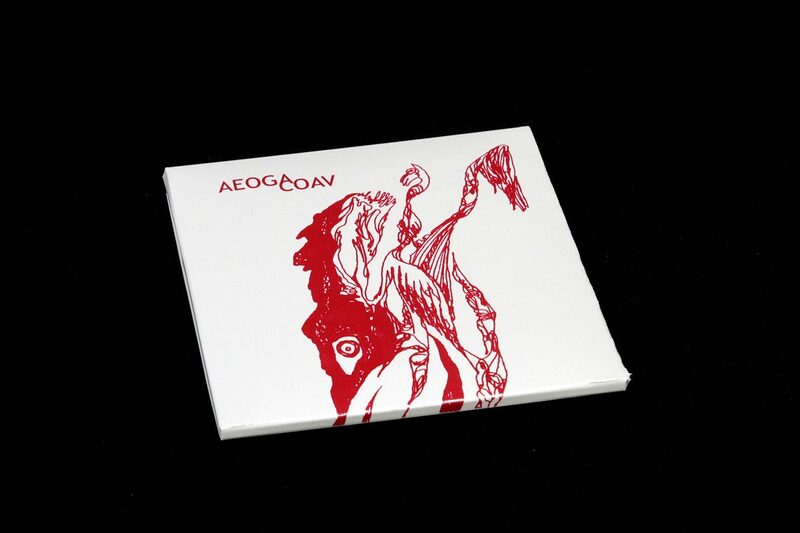 The debut album of Aeoga was originally released by Aural Hypnox in July 2004. We are now proud to re-release ‘COAV’ through our Stellar Mansion series. ‘COAV’ presents original and haunting material based on spiralling dark drones, eerie feedback textures, archaic drum and cymbal patterns, atonal vocalizations and distant, peculiar sample layers. The eight tracks of the album offer material ranging from organic dark ambient, archaic & ascetic horizons to dark and haunting ritual atmospheres. “To exhaust mind and body in order to obtain a condition of non-consciousness and thus receive, realize and create material based on both primal and absent vision”. Total running time: 65:52. 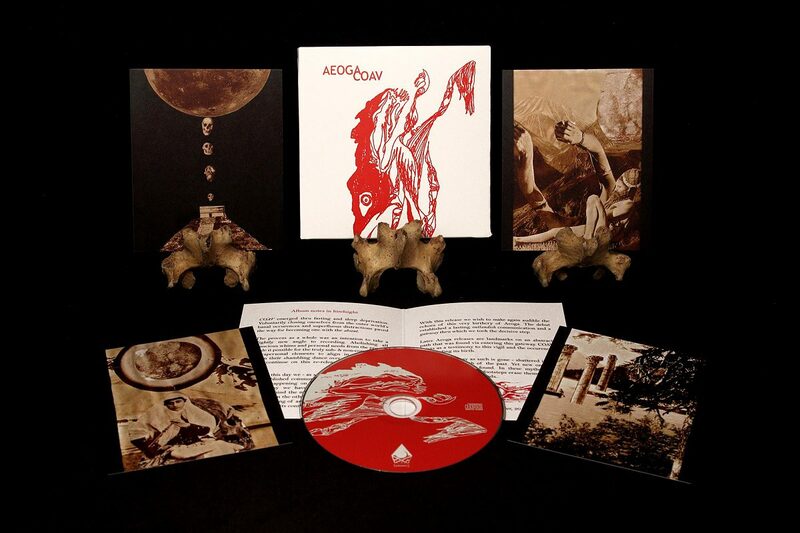 The album is enclosed inside a screen printed, white Stellar Mansion cardboard covers including four two-sided insert cards and a four panel booklet. Limited to 455 copies.